can you believe I have never made pumpkin bread? 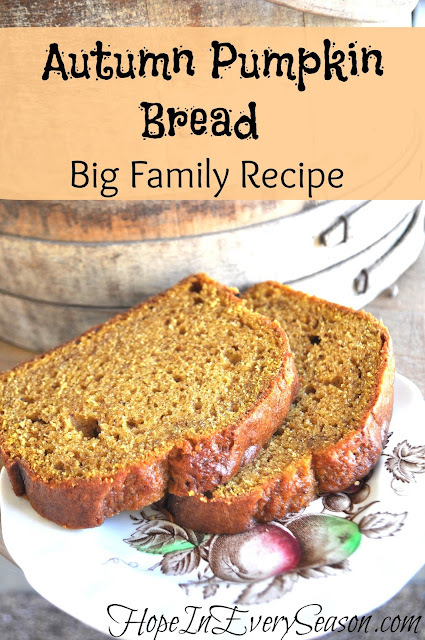 I am planning to try this over the weekend!It looks delicious! Sarah, looks good! And I love the idea of baking 3 loaves and freezing 2! Thank you for hosting. Wish I could enjoy a big, hot piece of that bread. Looks so good. I do not bake anymore just for one. Trust all is well with you and those precious children. Yay! I saved your bread to Pinterest! So excited about the hop. I recently switched back to my old blog for good. I moved back and repulished a post I shared here today... not sure I even shared my orginal post here anyways but if you have seen it before by chance I am sorry! 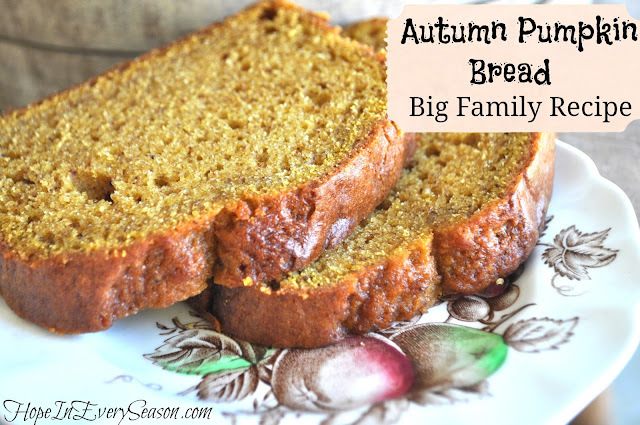 Pumpkin bread is a family fav! Yours looks delicious! Thanks for hosting! I just found your wonderful party! Thank you so much for hosting! Your bread looks amazing. It's a favorite around here as well. Is this 29 oz of pumpkin puree or pumpkin pie mix?